Inspired by the "What have you been playing?" segment of podcasts like the long defunct "1UP Yours". A place to talk about your experiences in video games. So what have you have been playing? Funcom has declared war on my wallet for 2019. In the past week, they revealed that they would be launching at least three games set in the Dune universe, starting with an open world game this year. I am a huge Dune fan, and this really puts a smile on my face. Hopeing that at least one of the games is an RTS like the old Dune games. An open world multiplayer game sounds interesting, but I am guessing it will have to be set way in the past before the events with Paul Atreides. The second piece of news they announced, is that they will be releasing a fresh start Anarchy Online server. It will begin with the original game content, and progressively open expansions and raise level caps over time. I have been hoping for this for years. AO was my first MMO, and holds a special place in my heart. The combat is slow, and clunky. The graphics terribly dated. However, the skill based system for equipping items and improving your character is unmatched in any current MMO. If they can keep exploiters from ruining the economy like they did the current live server, I can picture the fresh start eventually becoming the main server. So I got into Witcher 3 a bit. Lovely game. Atmosphere, and ambient sounds remind me a lot of Age of Conan. When I had last tried Witcher 2, I gave up (on PC) because of the wonky controls via keyboard and mouse. However, using a game controller feels very natural with this type of RPG. I am glad I purchased it on Xbox. Thus far, I have completed all quests in the first area of the game. I want to go around and explore a bit before I head to the next part of the main story. Asides from Witcher, most of my gaming time for the last few months has been spend playing The Division. Overall, I am so impressed with the changes made to the game since launch that I will definitely be getting The Division 2 soon after it comes out. One of the things I have been working on in game is the completion of "Shields". These are special sets of achievements, which when unlocked will grant your agent additional cosmetic goodies in The Division 2. I have the first two groups complete, and only three shields left. My favorite Shield was the one for the Survival DLC. This has quickly become one of my favorite activities, and is good enough to be a standalone game IMO. The premise for Survival is that your agent needs to fly via helicopter to pick up a cache of experimental anti-virals. This is during a blizzard, and the helicopter goes down. Your character wakes up in a safe house on the edge of the map with only a pistol, basic equipment, and a septic wound. You need to travel through the blizzard, collecting resources to craft skills, weapons, armor, as well as making sure you eat food and drink. To top it off, your septic wound has a timer ticking down which will kill you. So you need to locate medicine as well to slow its progress. The goal is to make your way across the map. Construct a mask and gather equipment that will let you survive inside the dark zone. Then hop the fence, locate the anti-virals. Call in a chopper extraction and leave. The icing on the cake is that when you call in your extraction chopper, a Hunter will appear and will try to kill you. These are the most advanced NPCs in the game, and are designed to act like rogue agents in PVP. They have armor, weapons, and skills just like a Division agent, as well as a one-hit melee kill. All this results in a pulse-pounding hour or so of play for a session (assuming you make it to the end). Loot isn't great, but the experience is super fun. There is nothing better than jumping in that chopper at the end. Grabbed this from the latest Farcry trailer. 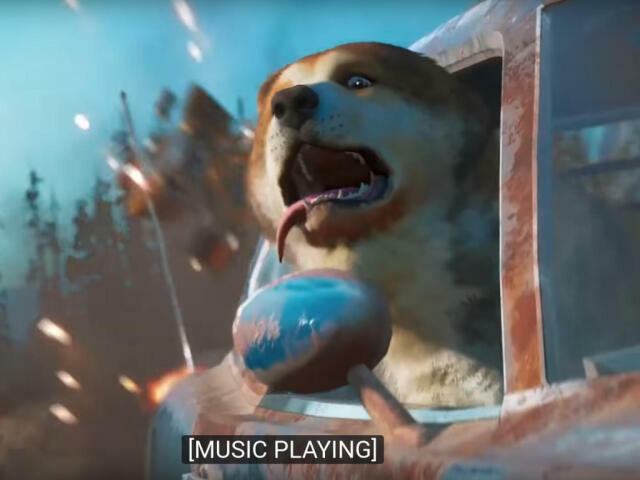 Youtube subtitles sometimes make things better. Knocked a title off of My Gaming List Of Shame! Here are some brief thoughts on Dreamfall Chapters as a whole. It's a very pretty game, and Propast was fun to explore. Later chapters had a ton of fan service for those who played the first two games. The Epilogue packed in a lot of emotion, and was a great way to close the series. I also enjoyed the slide show of important moments from all three games that was shown the credits. Some things I wasn't too keen on were the lack of puzzles that the first game (and to lesser extent 2nd) had. The game falls squarely into the "walking simulator" style of adventure games. Outside of Propast, it follows an "on rails" style where there isn't much exploration. The game only has one ending, so the choices you make have very little bearing on the overall story. In my case, I was lucky that my choice combination kept my daughter's favorite character alive for a brief conversation at the end. I was disappointed that Red Thread didn't dive deeper into the story behind Saga, or do anything else with her parents. Or touch on the Guardian of the Balance. It also felt odd that they turned a character who helps you in the first two games into something else with very little explanation. Overall, I recommend the game only if you finished the first two. Chapters doesn't explain enough for someone new to the series to get the full experience solely by playing this third installment. 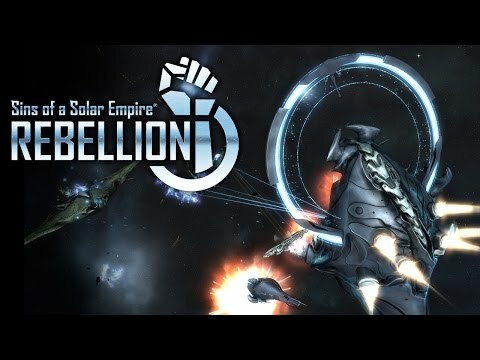 For the next couple days, Humble Bundle is giving away copies of Sins of a Solar Empire: Rebellion (when you sign up for their newsletter). A good opportunity for those who enjoy scifi and RTS. I hadn't played The Division in quite a while, and saw from the dashboard on my Xbox that a friend had picked it up again. So, Thursday night I dropped in to mess around. Hours later, I dragged my self to bed. Decided to play it again on Friday. And again, after hours of play, I decided to call it a night. Or morning as it was, because I ended up playing until 4 AM. This is the first time in years I have lost track of time while gaming. Ubisoft deserves some serious kudos for the improvements they implemented over the last two years. I dived into content that I had ran before, tested out new stuff. Messed with talents, and explored the Dark Zone. All the while, receiving a steady number of upgrades for my gear. This is an important part of games like Diablo, and I'm glad they have added it to this game. There was nothing so frustrating as dying multiple times, only to have the reward loot be a crappy average item many times lower than what you currently were using. Overall, The Division currently just feels fun. I look forward to diving into it a bit more this week. None of my friends who were playing Destiny 2 are currently playing, so I'm curious if Bungee has perfected the same magic with Destiny 2. The special sauce that makes the game fun, regardless of how much time you have to spend in it. Perhaps I'll pick up the expansions for it on Black Friday, as I did with Forsaken King for D1. I haven't bothered with Halloween events in Secret World or Anarchy Online. I have most of the cosmetic items in Secret World from before Legends was launched, so I didn't feel the need to jump in. Destiny 2 - I finally completed the campaign for the base game of Destiny 2. The final boss fight against "Gary" was even more anti-climatic and easier than the Vex boss at the end of Destiny 1's original campaign. I might wait awhile before diving into all the DLC. It boggles my mind why they have an expansion pass, when the new Forsaken expansion is not included in it. Also, Forsaken has its own "season pass" of crap. World Of Warcraft - Battle for Azeroth is live, and my daughter picked up that expansion. Since I only had one max level character in Legion, I also resubbed. But since she recently started school again, and I don't feel like devoting my free time to a subscription game ATM, we have canceled our subs for the time being. I am a big PVP fan, and there are always private servers when I want to get a few rounds of battleground in. Enter The Gungeon - Glad I picked this up! I was a huge fan of Robotron and Smash TV in the arcade, so this game was made for me. The farthest I have made it so far is the 2nd level. I like that my progress is synced between desktop and the Xbox. Life Is Strange 2: Episode 1 - I have watched one of my daughters play through episode 1. IMO, not as good as ep 1 of the first game. At the end of that game, I was hooked and was ready to see more. This time around, not as much. They have shown that one of the characters has powers, but they are not usable in gameplay during this episode. The two brothers are great, and I really like the bits with them interacting. Arcadia Bay has a "cameo" appearance My least favorite part so far is that they seem to have dipped into the political narrative inkwell while writing the story. I had to roll my eyes at a few parts of the episode. Guess we will see how the whole story pans out. I like surprises, and the game has potential. 1 day, 15 hours left to grab the game Orwell for free from Humble. Activates via Steam, and playable on Windows, Mac, and Linux. Overtime season is almost over at work, so I have had a little time here and there to play. In Dreamfall Chapters I completed book one. Made a few different decisions when compared to my first play through of that book. Tinkered briefly with The Division, which turned out to be much more fun than last time I played. The tweaks Ubi has made to the game over the last year are welcome IMO. Progressed through a couple missions of Destiny 2. Almost near the end of the original game campaign. Most of my friends who were playing Destiny 2 have quit due to how the endgame content is handled. Started a new Minecraft world with my daughters last night. With both of them on PC's, and me on the Xbox. It worked out surprisingly well. I miss some of the mods from playing the Java version, but I don't miss having to update three or four installs of the game + mods + the server and the server mods. E3 had some stuff that interested me this year. My FPS playing daughter and I are looking forward to the new Halo. The Division 2 could be promising, but I'll keep my expectations low. The setting of the new game is promising. I loved New York in the first game, but after running around tall buildings in the winter for many months, I have grown weary of it. Washington D.C in the summer should be more varied. Plus the cosmetics wont be limited to a hundred styles of ski jackets and beanies. Ooblets now has dance fights, which is pretty fun. Also looking forward to Don't Nod's mini adventure in the Life is Strange universe (Captain Spirit). As far as E3 Sales go, I ended up grabbing Deus Ex: Mankind Divided for $6 (I have yet to play it. Loved the Human Revolution). In addition, I also acquired an Xbox copy of Dreamfall Chapters. I was up to chapter 3 on my PC, but since one of my daughters has taken over the machine that it was installed on, I don't have time to finish it there. Since my kids have shown an interest in adventure games, it will be cool to show off the beginning of the game to them. 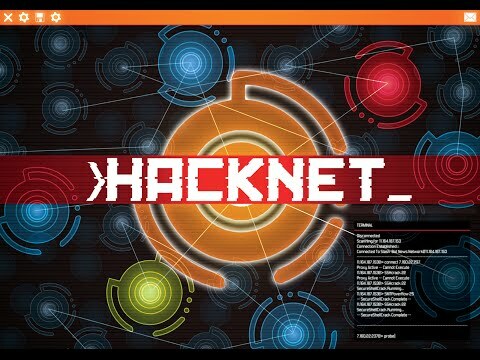 Hacknet is free from Humble for another 24 hours. It is a hacking simulation game. No time for games this week, as I spent my spare time finishing off a cosplay. However, I did take notice of the big 1.3 patch for one of my favorite mobile games, Crashlands. One of my main gripes about the game was that for each crafting tier, you only had one weapon choice. The new patch adds a hammer, sword, and axe for each tier. Each weapon has its own benefits. Also trinkets and gadgets now have hidden combos. And the hotbar has a new slot which auto equips whatever your best healing item is. Roguelike adventure The Flame In The Flood is FREE @ Humble for another 24 hours. Reposting my Gaming List of Shame with public permissions. I have a ton of really interesting games that I haven't gotten around to completing. Like my list of movies or books, I should have a Gaming List of Shame. 1) Life is Strange - Great game. But my daughter was interested in it, so I only play when we are both in front of the TV. Which is almost never. 2) Bioshock Infinite's Burial at Sea DLC - I'm probably halfway into the first episode. Tried to pick it up the other day, and forgot how the controls work for the grappling thing, and melee. 4) Diablo 3 - This game should be right up my ally. But I've never been able to get super excited about it. I just want to finish the main campaign, just for completion's sake. 5) Dreamfall Chapters - I'm in Book 3. Thankfully, I love the story enough that I remember exactly where I left off. 6) Wolfenstein: The New Order. I think I'm maybe 2/3 of the way through it. Haven't played since Destiny 2 came out. 2018/11/15 - Dreamfall: Chapters complete! 2018/05/06 - Life Is Strange complete! Completed Life Is Strange this weekend. Overall it is a fantastic adventure game, and I highly recommend it. I originally purchased it for one of my daughters, but started the game myself to see how it played. Both of my daughters were immediately roped into it, and we all finished the game together. Many memorable story moments, a decent soundtrack, and the stylized art style that really works well here. Five episodes in total, with each one being roughly 2 hours (give or take) depending on how often you rewind to alter your choices, and how much exploration and side dialog you get into. And, with it's completion I can strike another title off my List of Shame. Next, will be concentrating on completing Dreamfall: Chapters. 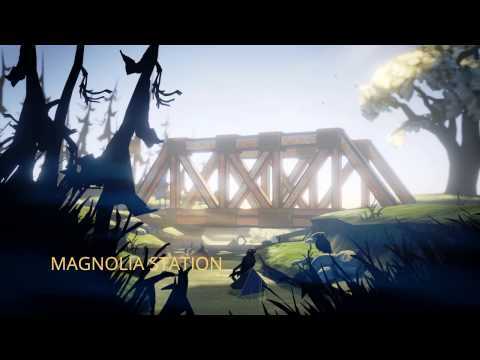 Daughters and I sat down to play chapter 4 of Life is Strange. It starts off a bit on rails, but then gets into some puzzles and interesting dialog trees. The ending was really exciting, so we decided to get started on episode 5 this morning! Overall, 4 was the best chapter yet. Also, we had debated to on the "real" protagonist was when we started the game. We pretty much had settled on one character in particular, and in this episode it was revealed that we were correct. Going to wrap the game up this Friday or Saturday. Then check it off my List Of Shame. Some intrepid folks are attempting to build a modern version of Anarchy Online. They have a few game assets re-created. No updates in the last month. This is more ambitious than the private server projects in the past. Knowing how those fared, I have little faith this will end up being playable. I would love to be wrong though. Chapter 3 of Life is Strange starts off slow, but the ending was fantastic! I was playing with both of my daughters, and we can't wait to start Chapter 4 now. Obviously, Max should have watched more Dr. Who. Then she would have learned not to meddle with fixed points in time! In WOW, I'm currently doing the dailies for the Argent Tournament. I've always disliked how gated they were. Days of quests to start the tournament. Days of quests to become a champion for your city. And then days and days of quests to get enough marks to buy stuff. And if you want to become a champion for the other cities, it's days of quests to become their champion. Sheesh. Also, I seem to have the worst luck for the Wintergrasp queue. Humble currently has Spec Ops: The Line at no cost for limited time. Activates via Steam on Linux, Windows, or MacOS. Spec Ops: The Line is a new original title from 2K Games that features provocative and gripping Third-Person modern military Shooter gameplay designed to challenge players' morality by putting them in the middle of unspeakable situations where unimaginable choices affecting human life must be made. Features include, a gripping, storyline reminiscent of Apocalypse Now and Heart of Darkness but set in a ruined Dubai, tactical squad-based Delta Force gameplay throughout a horizontally and vertically oriented world, devastating sandstorms which can be used in combat, a variety of multiplayer modes and maps, and deep support featuring two factions.